State Rep. Donny Lambeth (R-Forsyth), explaining his bill, North Carolina Health Care for Working Families. A Republican-backed bill in the state House aims to close North Carolina's coverage gap, but at no cost to the state. The bill provides a distinct alternative to Medicaid expansion, which Democrats have made a legislative priority. Unlike Medicaid, under Rep. Donny Lambeth's measure, program participants must work and pay premiums. The Forsyth County Republican's bill also would allow the state to stop providing expanded coverage if federal contributions decline or stop. "I heard too many legislators saying, 'I can't vote for a plan that obligates the state,'" Lambeth said, adding that he personally would have preferred to leave out the escape clause. Work requirements were struck down in Arkansas and Kentucky by a federal judge. 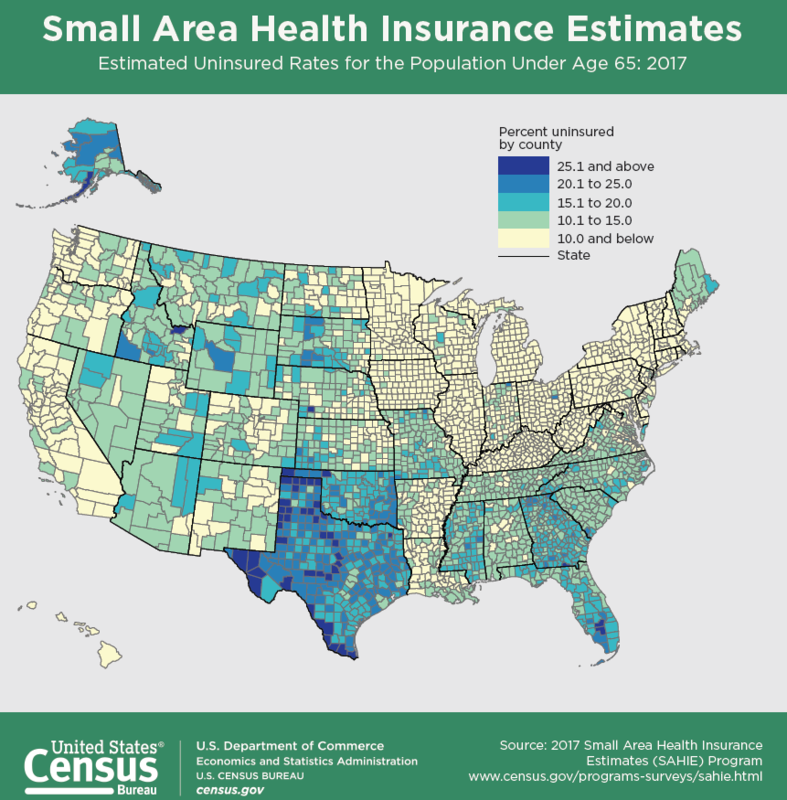 Health insurance estimates by county. The measure also includes a wellness and preventive care requirement under which program participants must get routine physicals and screenings. 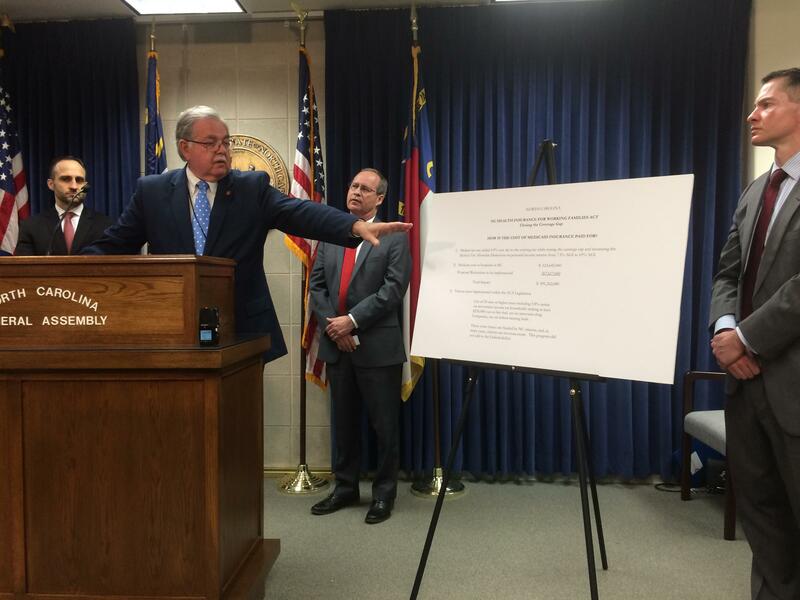 "We are not going to change the cost curve in North Carolina or in this country until we address preventive care and wellness aspects of health care," Lambeth said. The bill could meet stiff resistance from Democrats and Republicans alike. Lambeth said passage will require educating members of both chambers and parties but it is worth it. "If we can close the gap on approximately 300,000 individuals and help another 200,000 people that's struggling to pay their premiums under the current employer plans then it's worth pursuing," he said. Some North Carolina House Republicans are expected to pitch again their idea to expand Medicaid to hundreds of thousands of uninsured people through the 2010 federal health care law.